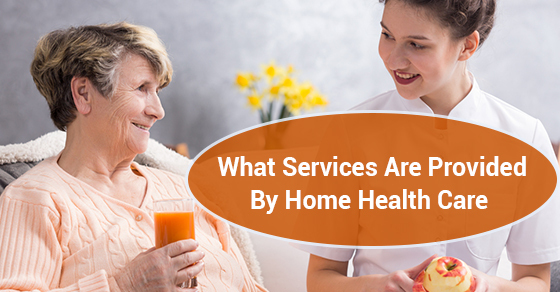 What Services Are Provided By Home Health Care? Home health care agencies are designed to provide high quality, professional healthcare from the comfort of a patient’s home. The kinds of services that you will find are going to vary from agency to agency, but the main feature of all home care services is that they bring health care right to you and your loved ones. Below are some of the services that a home care service can, and will provide. One of the primary services provided by most home care agencies is competent nursing. Home care services frequently hire both registered nurses, and licensed practical nurses. They are trained to provide a wide range of services including post-acute care, observation and monitoring, assessment, the management and administration of medication, wound care and pain management. When you or your loved one require more than just nursing care, many home care services are also able to provide occupational, physical, and speech/language therapy. Physical and occupational therapists focus on strengthening the body and help them perform daily physical tasks, as well as get the back on track to performing those tasks on their own. Speech therapists usually help patients who have lost some of their speaking ability after things like a stroke. Other services that are often provided by a home care service include dietary services, such as planning and administration, education, vision assistance services, medical social services, and home care assistants. Home care services are also able to have people sent to your, or your loved one’s home to monitor more serious health statuses and conditions, especially if you are not able to be around 24 hours a day to do so yourself. They are also able to come in and help provide end of life care for patients who are suffering from terminal illnesses and would like to pass away in the peace and comfort of their own home. Home care services are designed to make your and your loved one’s lives as comfortable, dignified and convenient as possible. Often people hire a home care service, simply out of convenience. They live a long way from clinics and hospitals and the ability to have people come straight to you is well worth the investment. Other people opt for home care services because they can’t stand the thought of being in the hospital, or being in a hospital for an extended period of time would seriously decrease their quality of life. If you are considering hiring a home care service and are unsure about the extent to which they can provide comprehensive care, keep the above information in mind when discussing it and making your decision.